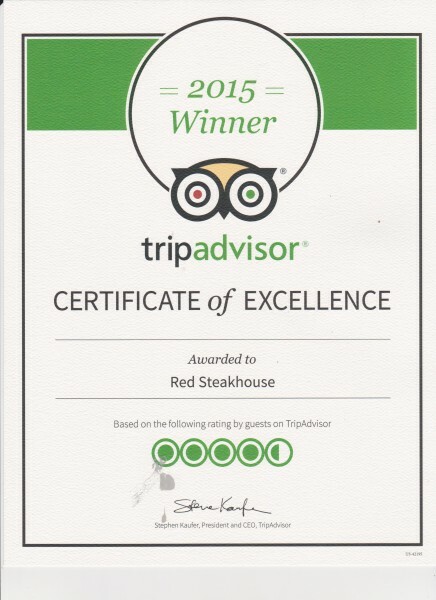 RED Steakhouse would like to say thank you to all who have visited our establishment and supported the restaurant. We appreciate the feedback we receive whether it be constructive reviews or positive critiques about their experiences! Striving for success is what we will continue to do and your help is key! Thank you to TripAdvisor for this amazing award.